One never knows what will happen at the Department of Licensing! I saw this brown mass crawling along the floor behind a secretary's desk last week. 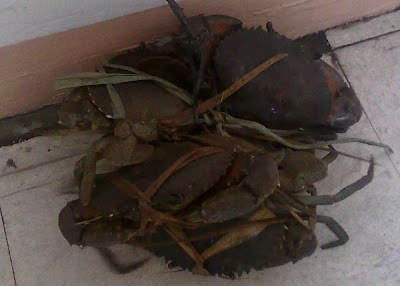 It turned out to be someone's sack lunch; a bunch of crabs tied together. Personally, I think peanut butter and jelly sandwiches are easier to handle. An even greater mystery is what happens to your papers when they take them inside and how long it will be before you see them again. 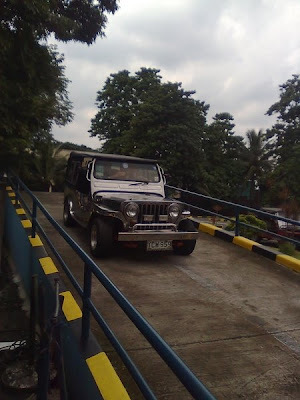 Patience and endurance are what it takes to get a license or vehicle registration here. James wanted to get a driver's license so Heidi took him down and started the process. The first major trial was getting through the crowds of men wanting to "help" you through the very tricky process. You feel like a rabbit running through a wolf pack. Once you are inside you have to figure out the process which involves many interesting hoops to jump through. For example, for the written exam you get questions like, "How do you drive if there is rice on the road?" or What shouldn't a driver do when passing a blind person?" The driving test is interesting too. You don't have bring your own car. You can rent one for about a dollar. They have a little track around a parking lot and you have drive around the track once. Sounds easy, but what you don't know is that the examiner is sitting next to you and he is controling the gas and has his hand on the wheel. Whether or not you hit someone is really up to him. 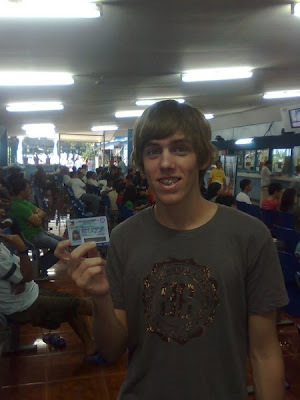 Fortunately, James passed all his tests and had the endurance to wait in line for 8 hours. Good job, James! Congratulations! Congratulations! That's (unbelievably) so much worse than our own licensing office! Wow! I can't believe I said that! Maybe that's a good way to get your exercise WHILE you eat!